Great suggestion, dorremifasol. Do you think you could post a picture to show how you do that? Of course, here I go. I've uploaded some pictures with descriptions. I've also attached an audio file with the recording of my G2 using the regular cable, and then the extension with the paper. I suppose most people don't notice the noise but keep in mind that I use headphones almost always and that way is very noticeable. Moreover, once you record the audio into a DAW and start compressing the buzziness gets really loud. The record is just the G2 straight into my Fireface 800, without any other synth turned on. Please keep in mind that I really don't know why it works. I thought it could work and tried disabling pins until it worked. 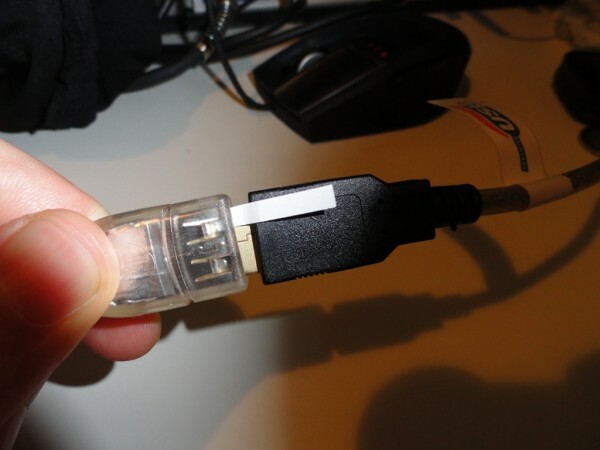 You need the cable from the G2 to the PC, an USB extension cable, and a tiny bit of paper (probably thin plastic would be better). You have to put the paper exactly as it is shown in the picture. I like to keep the paper visible so I will remember this is a special USB connection, otherwise I may forget (bad memory here, really). Noise from the USB connection. First silence, then connection with the regular cable, next, disconnection, and lastly connection again with the "trick" enabled. Now I know why it works. I'm disabling the +5 current pin, which is the one that carries the ground loop noise and it's not needed since the G2 has its own power source. 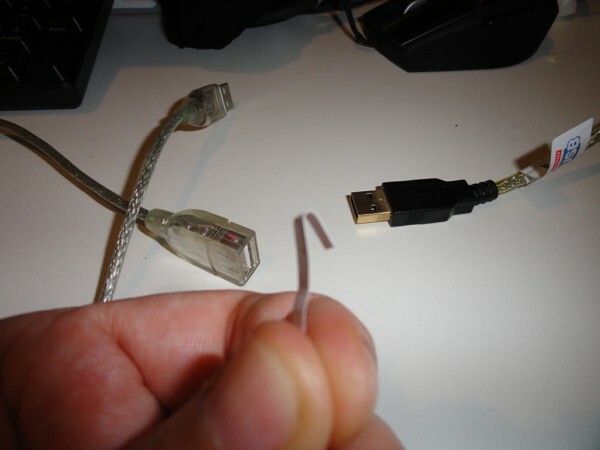 I'm planning to disable every +5 USB pin not needed in my cables (ie. other synthesizers or devices that have their own power source). 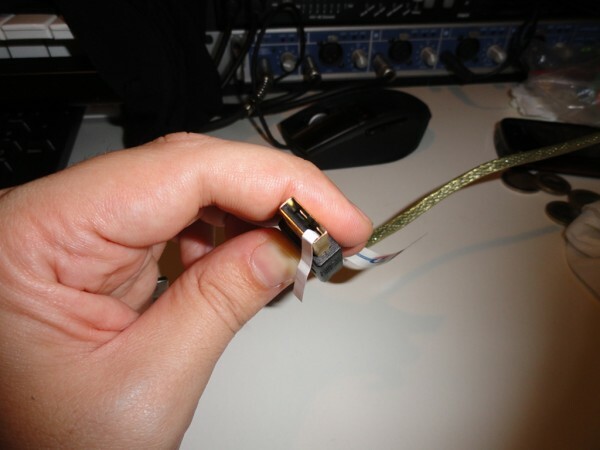 Moreover, and I think this is very important: I know that the G2 does not need the +5v USB input pin (it's only used to provide power to some USB devices like mouses, keyboards, controllers, etc), but someway the pin IS connected to the synth board because the effects on the audio signal are very noticeable. This leads me to think it shouldn't be that way. 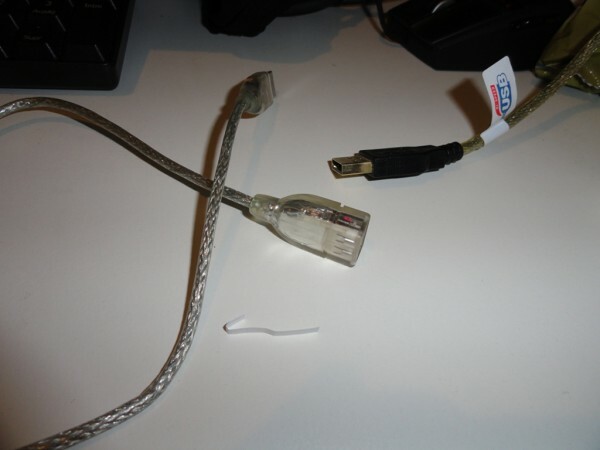 It may well cause the USB port to break if connected and disconnected very often, or if the computer sends a unusual voltage spike trough the +5v pin. You know there are many posts about broken USB ports in the forum. Thanks for great post with all those pictures. Looks like a pretty easy trick to pull off. Yes I think you're right. If the 5V is not needed in the synthesizer, then it should not be connected to any circuit. The audio file shows a significant improvement. Glad to read that, Jez! Next time I open my G2 I'll see if can cut something somewhere to avoid using the cable thingie forever.